Happy Fall Ya’ll! I am so excited about this giveaway for $300 CASH-OLA!! Fall is here! 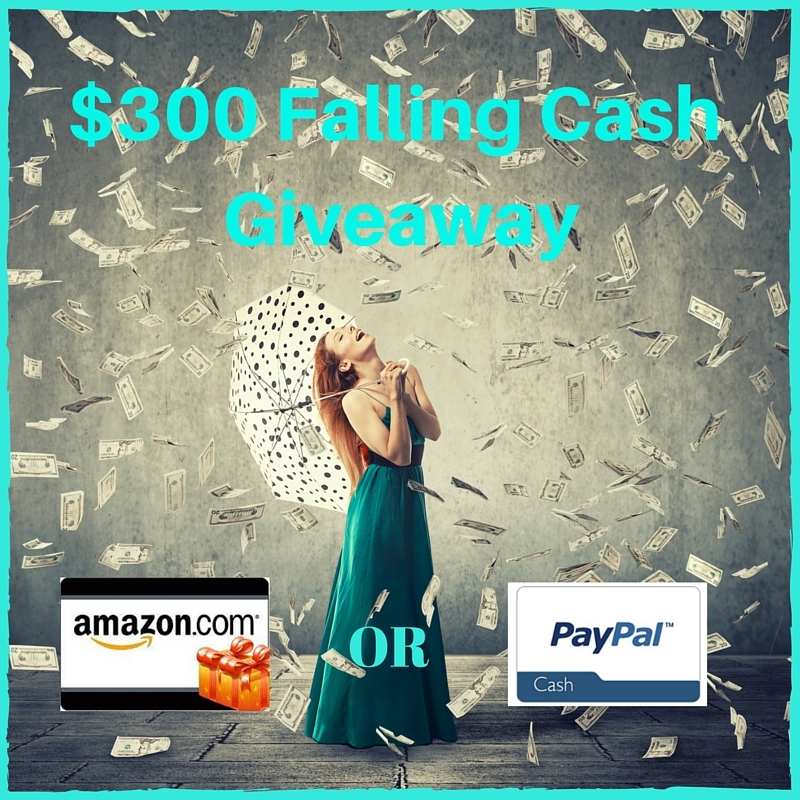 I love the idea of having a Falling Cash Giveaway to celebrate Autumn, how about you? A group of fabulous bloggers have come together to bring you this blogger sponsored event! One lucky reader will win their choice of a $300 Amazon Gift Card or Code OR PayPal Cash! The bloggers that have donated towards the cost of this giveaway will be found on the Rafflecopter with their entry options. This giveaway is open World Wide and ends October 7, 2015 at 11:59 PM EST. Filed Under: Give Away!, GIVEAWAY Tagged With: $300 FALL GIVEAWAY, Giveaway!! I love the color of the leaves & everything pumpkin! The smell of burning leaves and the beautiful colors of fall. I love the cool nights and dry weather. Perfect for campfires and camping out! Honeycrisp apples as big as your head. Picking honeycrisp apples and making bread! I love the cool weather, the smell of wood and leaves burning; there’s just a certain feeling in the air. I love the beautiful colors of Fall leaves, the excitement from my kids when we went apple picking & now seeing the same excitement when my Grandchildren go apple picking. My favorite time of year, especially for baking! I live in a beautiful area of the country, and Fall here is spectacular. There’s a bittersweet quality to Fall which makes it special. Plus I live in Apple Country – what could be better?!? Trees turning colors! Milder weather! I love the fall colors of the leaves. I also love the cooler weather.